Use when putting the amulet on and off each day, and as a short Kata when passing Holy Places with Images of Ganesha, or when during daily activities. Apart from wearing the amulet, you can use it as a ritual object to make prayer water (through immersion in the water bowl, and chanting with incense, flowers and offerings, preliminary prayers), or to place on a small tray on the altar and make offerings as a Bucha Deity. Ganesha or, as we say in Thai ‘Pra Pikanes’ is the Deity for removal of obstacles and attainment of success. Pra Pikanes has many different forms, with different meanings. he may have four, six, eight, twelve or even fourteen arms, but almost never two arms, this being a Tabu. Pra Pikanes may carry any of a number of 57 different Cosmic weapons or regalia in his hands. This particular Posture is four armed with whip, axe and consumables. This Posture and combination induces not only the removal of obstacles and success, but also wealth and plentiful treasures and possessions and well being. The amulet is made from Sacred Powders, and hand painted and covered with a fine ceramic glaze. The rear face has Sanskrit Agkhara and Sacred Na Inscription. The hand waving an axe, is a symbol of the retrenchment of all desires, bearers of pain and suffering. 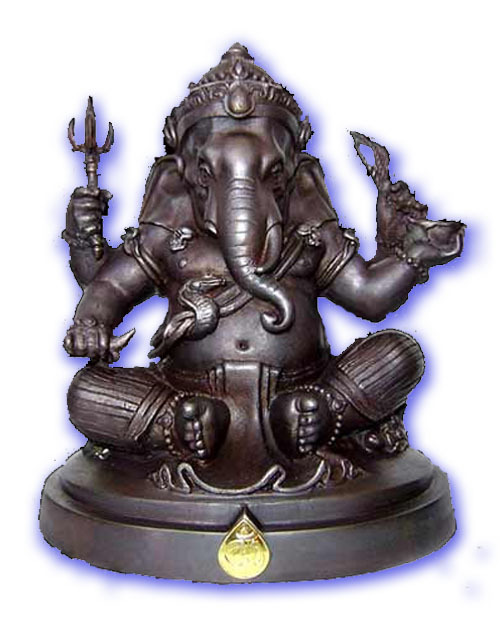 With this axe Ganesha can both strike and repel obstacles. 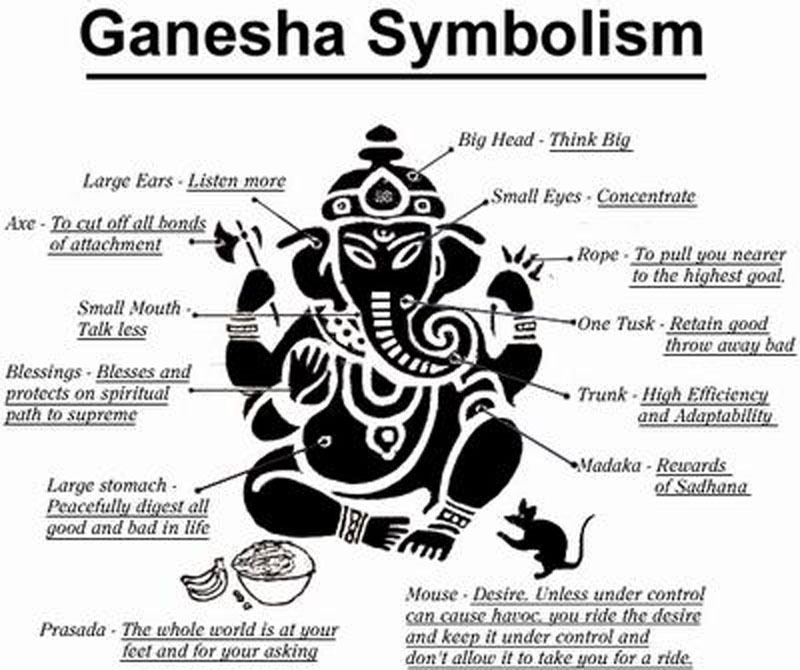 Ganesha has four arms which symbolize his status as the universal ruler and establish his power over the four categories of beings – those who can live only in water, those who can live in water and on earth, those who can live only on earth and those who can fly in air. 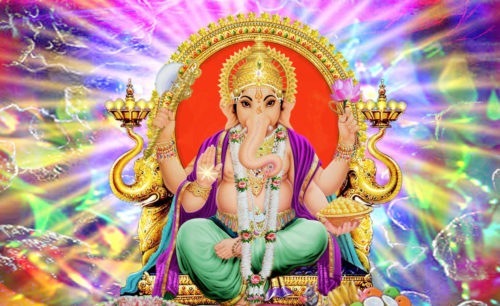 Significance of four : It was god Ganesha who instituted the four castes and the four Vedas. One hymn in Sri Bhagavat Tattva , says: ‘In heaven, this child will establish the predominance over gods, on earth over men, in the nether world over anti-gods and serpents. He causes the four ruling forces of the elements to move, for which he has four arms.